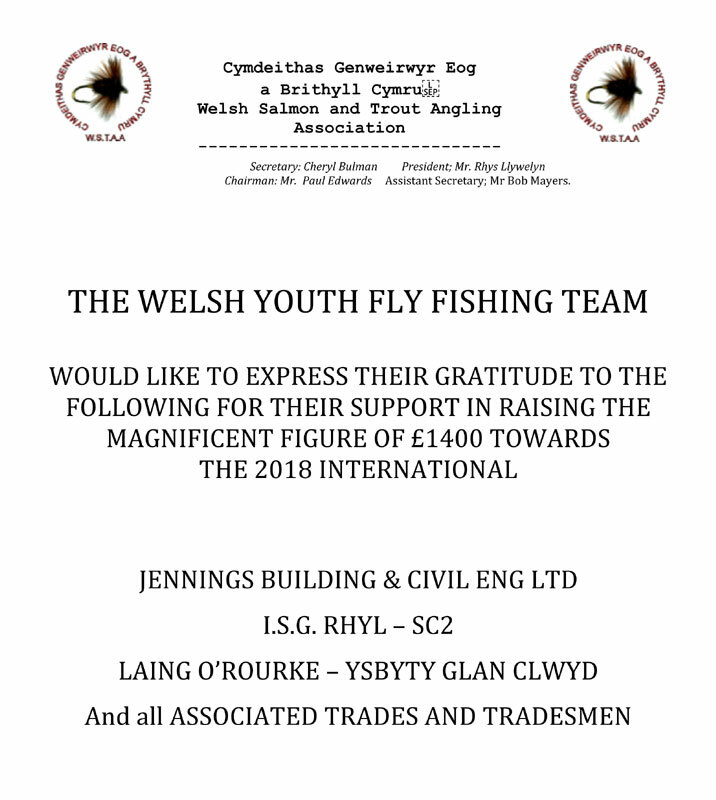 Jennings supported the Welsh Youth Fly Fishing Team, contributing to the £1400 raised in aid of their 2018 International. Jennings is pleased to receive their letter of thanks shown below. I.S.G. (contractors for Rhyl’s SC2) and Laing O’Rourke (works at Ysbyty Glan Clwyd) were also contributors.